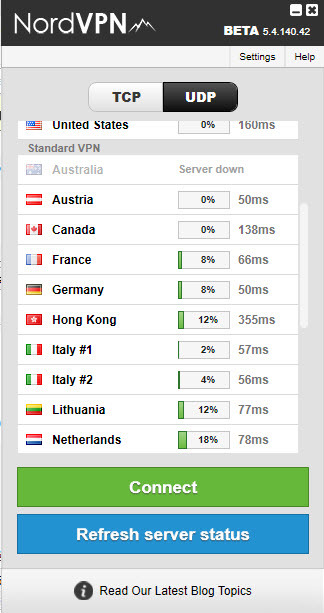 Considering it's a rather new service, NordVPN pleasantly surprised us. Great software, many server locations and being privacy-focused are just a few of the positive aspects. They could use improvement in the infrastructure department as they provided a decent experience but nothing spectacular speed-wise. They are also a bit pricey, but worth it in our opinion. NordVPN is one of the newer VPN providers, operated by a company in Panama. Tefinkom co S.A. is the company behind the service, and according to their About page, they’ve been into web-hosting business for over 6 years. They have VPN gateways in quite a few locations: USA, Canada, UK, Australia, Austria, Singapore, Lithuania, Sweden, France, Poland, Netherlands, Romania, Germany, Hong Kong, Switzerland, Spain, Italy and Russia. Two simultaneous connections are possible using a single account. VPN protocols supported are the usual OpenVPN, L2TP and PPTP. They allow two devices to be connected simultaneously using the same account. Security wise, they provide 2048-bit authentication on their OpenVPN and 256-bit AES symetric encryption. We had to find-out ourselves the symmetric encryption level because they don’t provide that information on the website. In fact, they claim to provide “SSL based 2048 bit encryption” which is misleading. Their Tor over VPN and Double VPN are some interesting features. Basically, you connect to a VPN location but the exit-gateway is either the Tor network or a VPN gateway in other location. Both are good options privacy-wise, especially the first one. A list of aggregated open proxies is one of their other features. The software is very clean & simple. It includes the list of locations to choose from and it also displays the server load and ping latency. 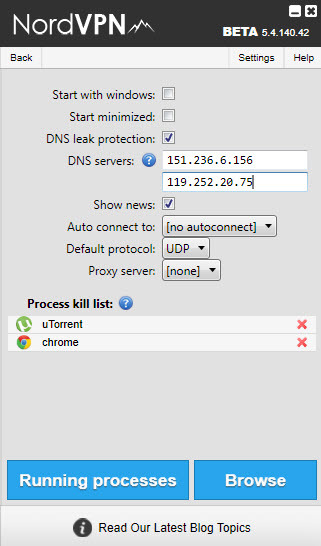 In its Settings section it is possible to use preferred DNS servers and enable Kill Switch protection: selecting processes that would be killed instantly if the VPN disconnects. We tested this setting with processes like a browser and a torrent client, and all went well. The software is available for Windows only. We weren’t happy to see they run tracking services on their website: Google Analytics and Ads performance tracking, Adtarget.me. NordVPN does not monitor, store or record logs for any VPN user. We do not store connection time stamps, used bandwidth, traffic logs, IP addresses. -Billing information – we store billing information in case of a refund request. The month-to-month plan costs 8 EUR. Paying upfront gives you a better deal: 16 EUR for 3 months, 30 EUR for 6 months and 48 EUR for a year. 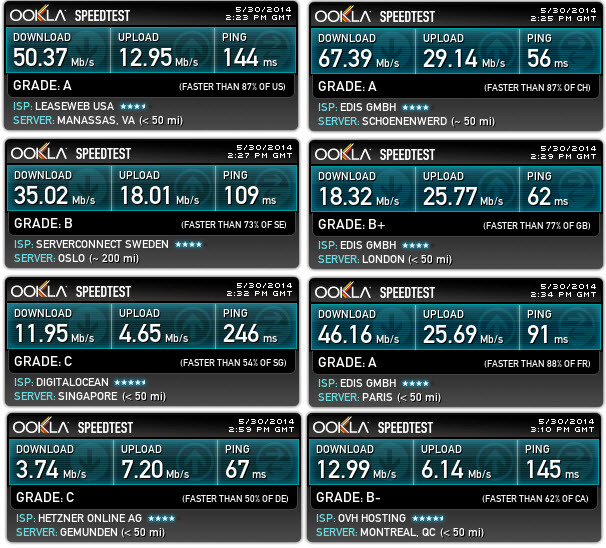 Speed wasn’t quite as good as we would like it to be but decent nonetheless. Reliability wise, we had a few problems with some servers being able to connect to but couldn’t reach the Internet. 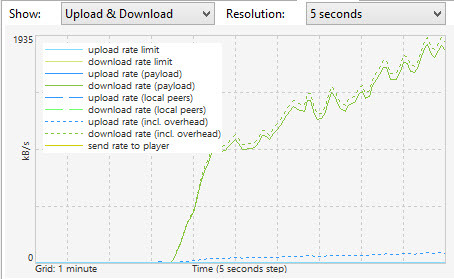 Torrent speed was between 10 and 20 Mbps. NordVPN provides support by email and web-chat. The chat operator we talked to wasn’t a technical person as he couldn’t answer some of our questions related to encryption strength, and he suggested to email the technical team.